Vu+ Hybrid DVB-C/T2 h.265 Tuner - Buy at dreamportugal.pt! Vu+ Hybrid DVB-C/T2 h.265 Tuner - Newest tuner for Vu+ receivers with HEVC / H.265 DVB-T2 support. Now with support HEVC / H.265 DVB-T2 HD transmission on Vu+ Solo 4K and Vu+ Ultimo 4K! 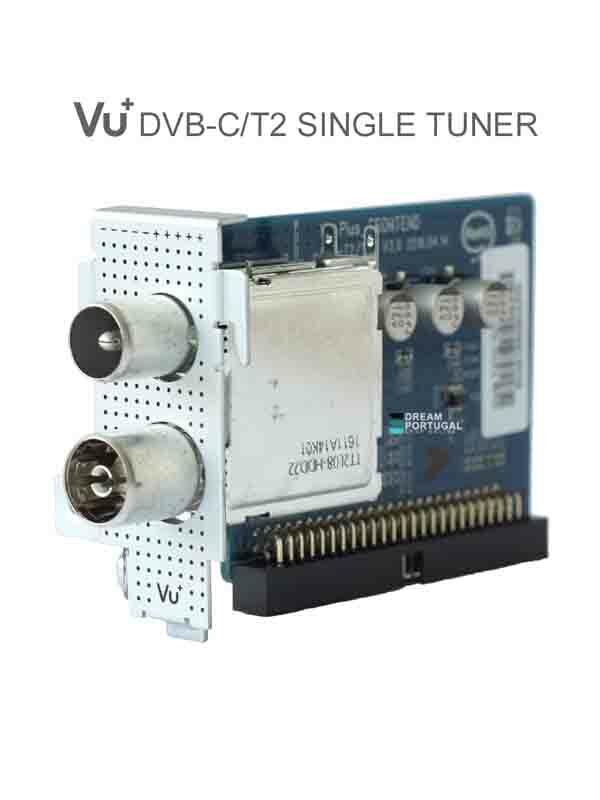 Hybrid (DVB-C and DVB-T2/T) Single Plug&Play tuner module for Vu+ receivers. HEVC / H.265 codec support on compatible Vu+ 4K receivers.